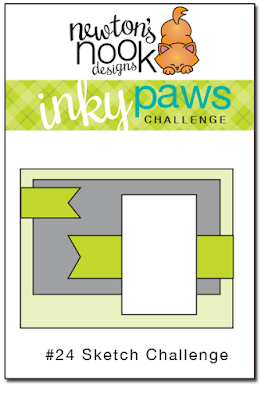 Inky Paws Challenge: Inky Paws Challenge #24 - Sketch! You have TWO WEEKS to play along - Deadline to enter is Friday, September 4th, 2015 at Midnight CST. The winners will be announced on the NND blog on Monday, September 7th. Post your project to your blog or to an online photo gallery such as Flickr, Pinterest, or splitcoaststampers (on splitcoast please use keywords newtonsnook and IPC24). Here is an adorable snail mail card by Jess. She did a ton of fun paper piercing she did with our In Slow Motion stamp set! I love that fun pattern on the snail and his shell! Here is a fun shark Birthday card by Yukari using our sketch! I love how she created two cute sharky scenes with our Shark Bites Stamp set! Check out this beautiful under the sea scene that Larissa created for this challenge! She used our fun little Seahorse from the Tranquil Tides stamp set and cut him out with the coordinating Tranquil Tides die set! I love the added dimension she gave him with the white dots and the googlie eye!! 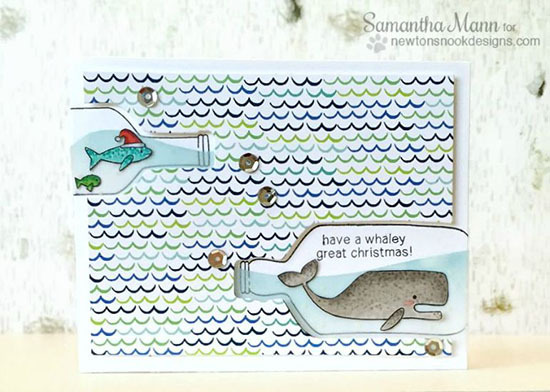 Here is a cute early christmas card by Samantha. I love the two bottle cut-outs with fish inside! Such a fun idea! She used our Message in a Bottle Stamp Set and Message in a Bottle Dies along with the SEAsons Greetings stamp set. Here is a fun birthday card by Crafty Math-Chick! 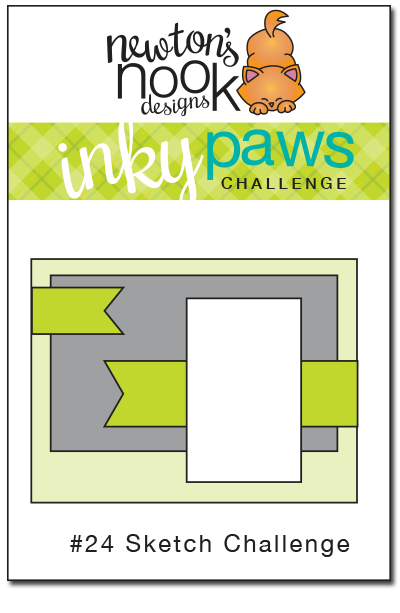 I love how she used the bright colored balloon paper paired with the black and white colored kitty from the Newton's Antics Stamp set. She also used our new coordinating Newton's Anitcs purr-fect die set to cut out that cute kitty! 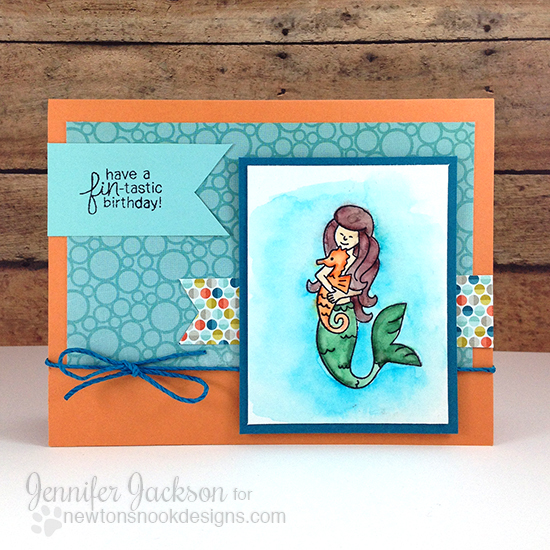 Here's a card I created using our Mermaid Crossing stamp set. I colored the image on watercolor paper with Zig Clean Color watercolor markers. I love how vibrant these are! Then I added some fun bubble paper for the background and a fun blue twine bow!